Bansko (Bulgaria) (AFP) – “Unlimited Ski and Fun!” promises a pamphlet touting the Bansko ski resort, a magnet for bargain-hunting holidaymakers in southwest Bulgaria. The clearance of more than 160 hectares (400 acres) of centuries-old forest to build the ski zone already prompted UNESCO in 2010 to remove the area from the World Heritage designation, labelling it a “buffer zone”. Now a much larger area could come under threat after a government decision in December opened 48 percent of the park’s 40,000 hectares for construction, sparking weekly protests attended by thousands across the country. 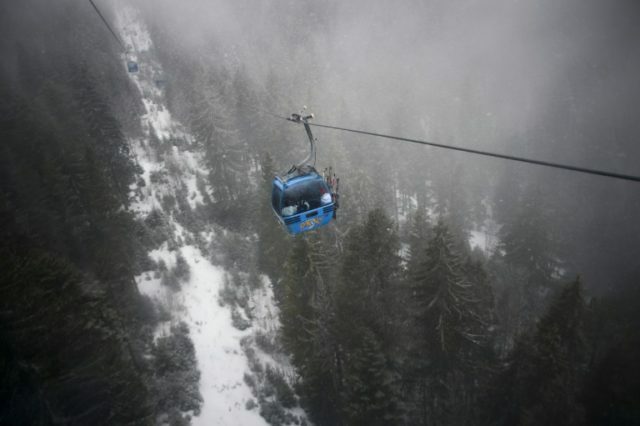 At issue in particular is a plan to build a second ski lift to ease persistent queues at the sole six-person lift, which currently takes 2,200 skiers per hour up to the 75 kilometres (46 miles) of runs. “With a daily lift pass costing 28 euros ($34), Bansko is the cheapest resort of its capacity in Europe, and even if our queues have become notorious, people keep pouring in,” Bansko’s marketing chief Ivan Obreykov told AFP.